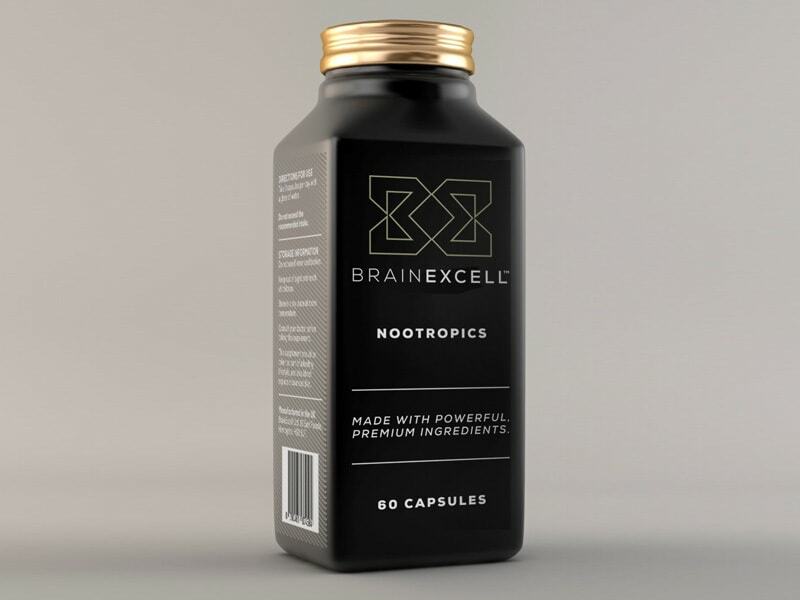 BrainExcell is a new premium Nootropic supplement, and as such the logo and brand design needed to convey a high quality product, and therefore tempt potential buyers to pay a premium price. The finished logo design is based on the initials, which also reads the same if rotated, or flipped vertically. Once the logo design was approved, we then looked to the design of the bottle. 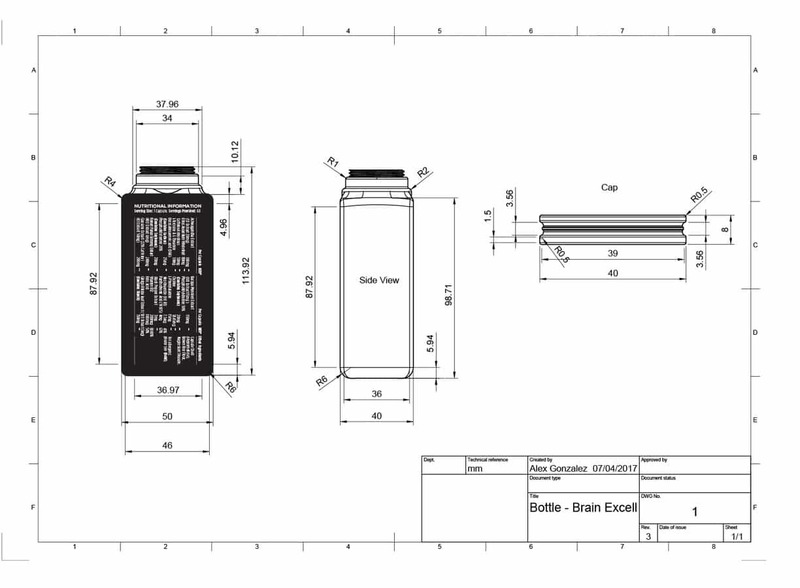 This is a custom designed bottle (the schematics are below), and I suggested that printing directly onto the bottle, rather than onto a paper lable. The client opted for a opaque black finished, which helped really helps emphasis (pop) the primary white, and gold design. Although printing onto the bottle created some limitations in type size (minimum 7pt), it would ultimately help achieve this premium look for BrainExcell.